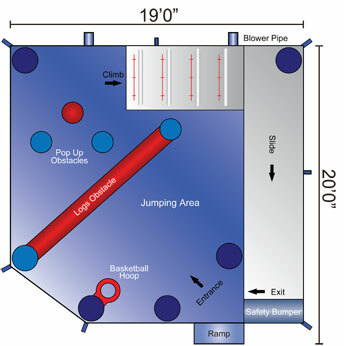 The licensed Mickey Park 5-n-1 combo fun jump will bring the Mickey Mouse Club House to your next event or party! Players of all ages can join, as Mickey and Minnie, Daffy and Daisy and Goofy invite guests to Mickey Park, where children can choose from five different activities in this entertaining fun jump. Fantastic artwork shows Mickey and the gang having all kinds of fun: riding down a winding slide and going for a drive. Trademark Mickey ears point the way on top of this 5-n1 combo fun jump.